we have received over the last 9 years. 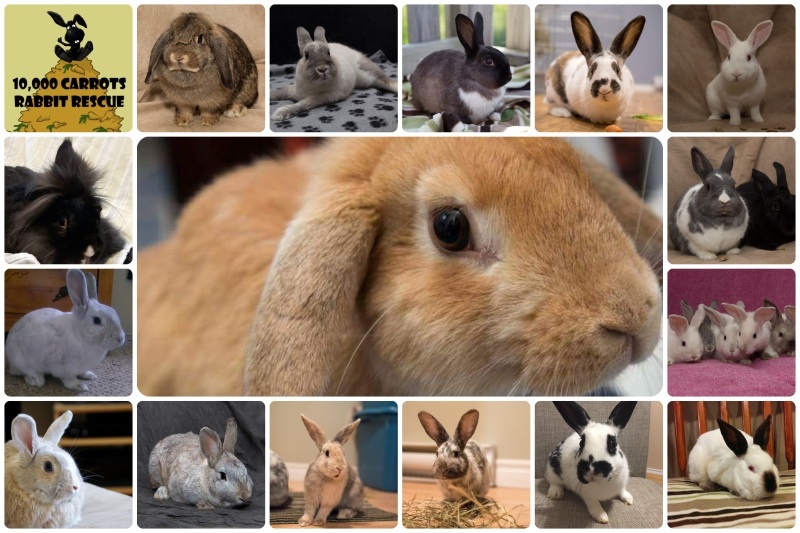 over 800 domesticated rabbits find loving, indoor, forever homes. Our volunteers are walking in the KIDS HELP PHONE - WALK SO KIDS CAN TALK event in Halifax on May 5, 2019.
to go directly to our page! As always, we are closed over Easter for adoptions. We do not support the sale / adoption / purchase of animals as "presents" and feel that it needs to be a well thought out decision. They are living, breathing, sentient beings who deserve to be part of the family. We advocate for them - not just around the holidays - but all year. 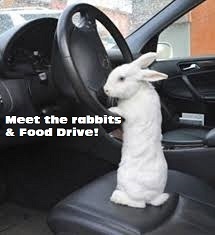 Co-Sponsored by Chroma Tattoos & 10,000 Carrots Rabbit Rescue! This is the 4th year for this fundraiser - one of our 2 biggest of the year. Come on out and say "HI", get a tattoo, play some games, bid on some great silent auction items. Come get your Zen on at Bunny Yoga with Lindsay! 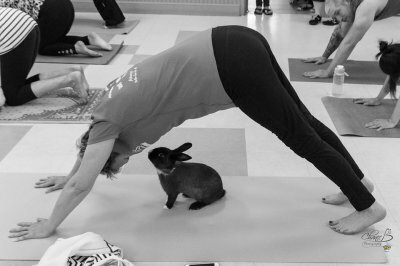 Looking forward to another fun yoga with the bunnies and our dear friend and yoga teacher Lindsay. Only 20 spots available so reserve your spot now by sending an etransfer to [email protected] $20 a person. 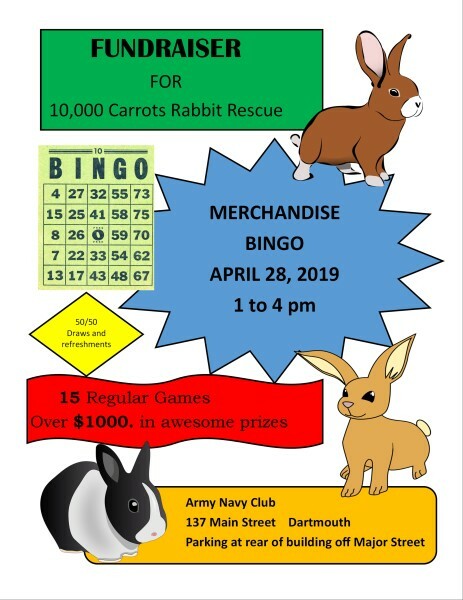 Join us for a super fun afternoon of BINGO!! There are really cool prizes and fun to be had by all! Stay tuned for pics of prizes coming soon! 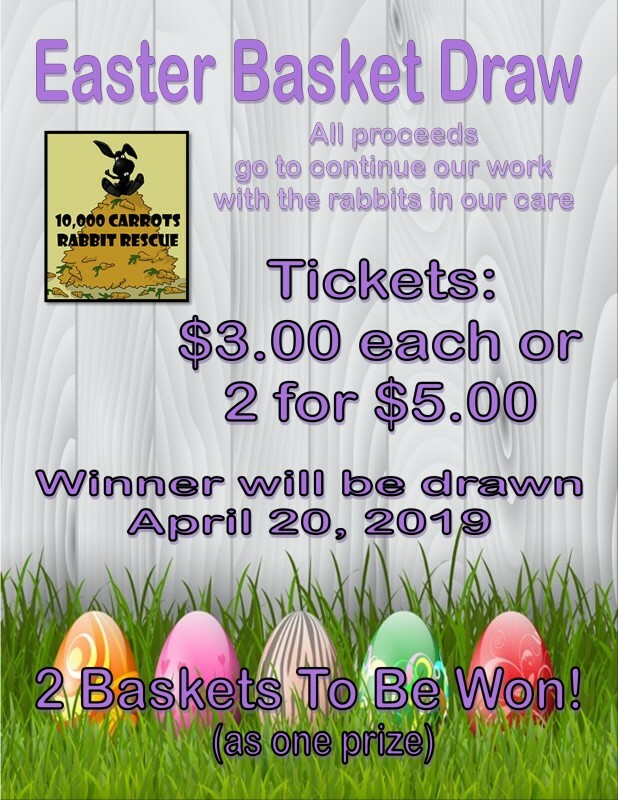 Please indicate in the memo that the transfer is for the Easter Basket Draw. We have been invited to hang out with the Easter Bunny at Sunnyside Mall!! 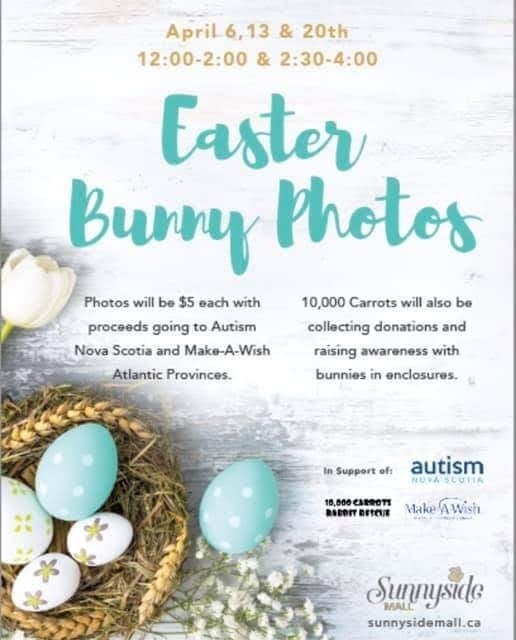 We will be there April 6th , 13th & 20th from Noon - 4 with lots of information about adding a house rabbit to your family as well as some of our Make Mine Chocolate campaign information and some chocolates from the Sweet Spot Chocolate Shop so you can "Make Mine Chocolate"
We will also have two amazing easter baskets to buy tickets on, crafts, mugs, fudge, and lots of information about rabbit care. We look forward to seeing you there!!. This will be the last class for the spring and will fill up quickly so reserve your spot today!! We will book more classes in the fall.